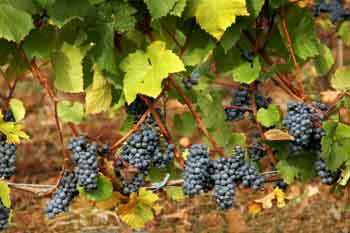 Oregon Pinot Noir is a complex wine made from a finicky grape grown in an uncertain climate. It's a challenge that makes production of these Yamhill Valley wines a rewarding experience for winemakers and wine connoisseurs alike. Grapes are grown with farmer’s art, and wines lovingly produced and barreled. Then comes the crafts of blending and bottling the final product. Yamhill Valley climate and growing conditions, similar to France's reknown Bordeaux Region, allowed local winemakers to develop some of the world's finest blends of the wine. Today, the Yamhill Valley area regularly is mentioned with Bordeaux and New Zealand among the top three regions for growing Pinot Noir.